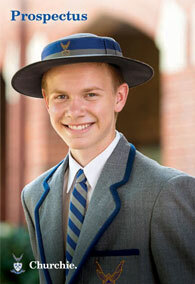 Churchie has a strong commitment to Service, both on campus and in the wider community. This commitment aims to strengthen every student's sense of responsibility, whilst fostering community interaction and the appreciation of cultural diversity. The benefits associated with participation in community service are well researched, citing psychological, social and cognitive advantages. An increase in positive feelings, greater communication and cooperative skills, and problem solving and critical thinking skills when dealing with exposure to challenging situations, are also transferrable to classroom learning situations.